How to Mix Songs | Gear Acquisition Syndrome!! 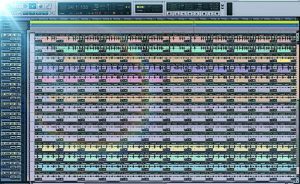 How to Mix Songs – Resources To Make YOU a Pro! Some things are hard to admit. You hide. You avert. You spin. You distract people from it. But the truth… will… OUT! For years, I was too SCARED to mix!! At last… my day in court is done. There’s no denying it: learning how to mix songs is a huge, daunting task. It encompasses SO much, and it’s less about what you do and so much more about what you KNOW. Much of the time, it can seem like even considering doing your own mix elicits nothing but mocking laughter from the pro audio engineer pantheon of greats. I know that feeling well. I let others mix my material for years mostly because of respect: I had read numerous books about the top producers and mix engineers in our industry and they were such giants of great audio production that I thought there’s no way I could ever approach their skill level, let alone reach it. But finally, a few years back, I took the bull by the woofers… ohp, I mean the horns. I decided it was time. I would put the work in to really become an informed engineer and absolutely know what I was doing. Then… my product would tell whether I could claim success or not. If you’re here reading this, then you probably are in that same moment of decision: “ein neuer Mond der Entscheidung”, as my favorite film “Wings Of Desire” says… “a new moon of decision”. Well, I’m here to tell you – YOU CAN DO IT! If you put in the effort to really understand what the different elements and decisions you’ll have to make represent, then you will have the power any great mixer has… the power of strong, effective choice. Being educated about the myriad of decisions to be made in a modern mix is absolutely crucial, though… IF you want to obtain good results. But where can we go to really get the goods and set us up for success?? Well, any cursory glance at the pro audio landscape will show you that there are, literally, thousands of people or companies that claim that they will shape you into a master mix engineer. YouTube alone offers so many “mix experts” it akin to the number of dandelions that want to pop up through my lawn now that spring is here. What I thought I’d do today is point you in the right directions. I’m going to share with you three mixing resources that I value more than any others. These three truly rescued me from endlessly treading water on the wide, wild ocean of mixing options and brought me safely into harbour after harbour of understanding. Now, I can sail from Point A (when recording has ended) to Point Z (submitting a final mix for Mastering) with an informed assurance that I will reach the “New World” of a killer mix, without shipwrecks, sickness, mutinies, or abandoning ship. The following resources will really give you a firm grasp of what needs to be done, what order it should be done in, and when to say “It’s done!”. 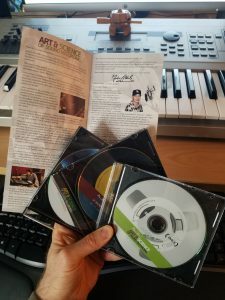 I thought of writing my own posts about mixing, but these guys have done such a great job, I could not duplicate their products without Herculean efforts, so… it just makes sense to let them show you the audio ropes! So let’s set sail, shall we?! If you are really new to mixing, and will readily admit that you have a LOT to learn, then you’re like a would-be sailor who needs a little experience understanding the water first! Best to get a small dinghy or canoe, and spend some time learning the basics, getting a good grasp on the essentials and how to maneuver within them. For this, I highly recommend the superb set of videos by esteemed legendary producer/engineer Alan Parsons called the “Science of Sound Recording” series. You won’t find many people who have worked on so many classic albums that still resound on radio consistently to this day. Alan is truly one-of-a-kind. I can’t say that I learned much that I didn’t already know from these videos from the engineering standpoint. But, saying that, I also come from a long background in pro audio, my most informative years occurring when I worked for Sweetwater Sound, a company long-respected for “knowing their stuff”. We had several weekly seminars and educational meetings to make sure our heads were clearly wrapped around all the ins and outs (literally!) that any audio customer might need help with. I was, however, thoroughly inspired by the performances, professionalism and ideas Alan presented. Unless you’ve got it all down, this course will give you a bird’s eye view of one of our industry’s icons producing a song, start to finish. This will include not only the mixing stage at the end, but everything before it as well. Because of this, it’s the most comprehensive of all the options I’ll talk about today. Now how often do you get to see THAT?! And speaking of performances, you get to witness some of THE BEST session musicians on the planet laying the tracks down for Alan. 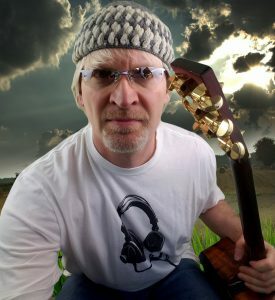 If you have any desire to see how Nathan East, Tim Pierce, Simon Phillips, Rami Jafee do their stuff in the studio, as well as hearing interviews from the best musicians, producers and engineers in the industry, like Michael McDonald, Elliot Scheiner, Carol Kaye, Erykah Badu, John Shanks, Jack Joseph Puig! These days, you get a lot of input for free from YouTube. I totally get that. I’ve availed myself of it times beyond number. I don’t know if you’d be able to find, however, something this quality and this comprehensive there. I know I haven’t. So, if you don’t mind investing a bit of coin towards your future in mixing, and you really want professional’s understanding of this art, and science, give Alan’s lessons a try. I spent the cash and don’t regret it at all, and like I said… I even knew most of what he was talking about already! For more investigation, or to pick it up and start taking in the expertise of a master, GO HERE. Fast-forwarding to today, that prescient thought has been given real terabytes, and now we can learn basically whatever we want, whenever we want, at the click of a mouse. I’ve tried several tutoring sites and by far my favorite is Lynda.com. Not only do they have an extremely vast selection of topics, but their training courses are not dumbed-down, partial or irrelevant. I have clicked on (no lie) at least eighteen different pro audio courses on Lynda. I learned so much; I don’t think there was any course that I watched that didn’t provide me with at least a couple insights or ideas that I had not considered before that. If you watch ALL of the mix-related courses, like I did, you’ll be in a position to be a mix MASTER no matter what song you’re handed. But if you can’t watch ’em all, I highly recommend Bobby Owsinski‘s courses. He knows his stuff and has put together a great overview of everything you need to succeed in a mix. Also, if your DAW platform is Pro Tools, as mine is, you absolutely can’t go wrong learning from Frank D. Cook. I love his courses! He has such great energy, and his classes are jam-packed with comprehensible but empowering explanations of all kinds of tweaky methods and techniques that will enable you to attack any song mix with confidence and prowess. Don’t leave Lynda without visiting Frank! Oh, and let’s talk affordability: Lynda.com only charges $25 a month, BUT…. the first month is free. 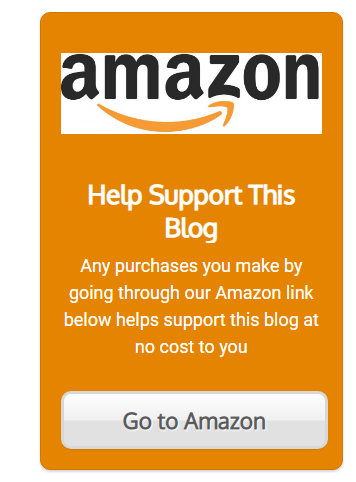 They also allow you to cancel at any time. Put those two together and you now have absolutely no excuse to NOT go immediately there and start learning. Seriously, it’s the best teaching I have found on video, bar none. It blows YouTube away. So whaddya waiting for?? Go get your degree in sound. Follow THIS LINK to see all her available mixing courses! Your Ocean Liner of Understanding! … Mike Senior’s “Mixing Secrets For The Small Studio”!! I can’t say enough good things about this book. If I were allowed only one resource to see me through the rest of my production career, I would choose this one. If I could only have one book to study from to understand all that I need to be effective in bringing music to life, I’d study this one. 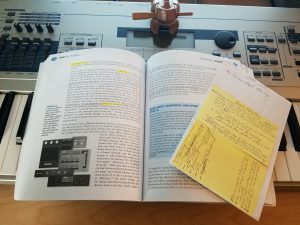 If I were new to music production, and needed one “fountain of knowledge” to teach me all the things I’ll need to know in order to become a capable, formidable mixing engineer, I would learn from THIS BOOK!! Mike has done such an outstanding job balancing audio theory, definition and technique in his ambitious achievement. That’s the most impressive thing to me. Being a private music tutor, I know that teaching is certainly not everyone’s gift; just because someone can DO something well, doesn’t mean they will be able to TEACH it capably. Mike obviously has a gift for teaching, and this book proves it. And lemme tell ya… it’s about time for something like this. I have read some pretty dry and, in the end, exhaustingly useless books in my time (many because I HAD to in college). They spend way too much time describing what something IS but never do a good job telling us HOW to use it effectively. When you’re in the studio with the goal of finishing a song for release, it really doesn’t matter what a piece of gear is called, or the theory behind it – you just need to know how to employ it to make the song ROCK! This book stays right below my main guitar amp, just down a bit on my left side, right next to my main work area. 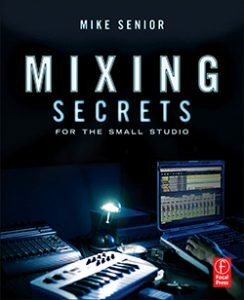 I don’t have to consult it much anymore, but I know if I ever AM in a pinch, “Mixing Secrets…” will probably, quickly, get me out of it. The only thing this extraordinary tome won’t help you with is working through functions, or malfunctions, that are related to your specific DAW. If Reaper is freaking out, that’s a Reaper issue. If Cubase locks up, you’ll have to call Steinberg. If you can’t find a certain tool in Pro Tools, then Avid is at your beck and call. If it’s DAW-related, contact your DAW manufacturer. If it’s method or technique or tool-understanding-related however, Mike’s got yer back! Mixing really comes down to two things: knowing what needs to be done next, and secondly, knowing which button, slider or option will accomplish that next thing. The first is simply audio engineering. The second is knowing your own particular DAW inside and out, so that no powerful tool is hidden from your deft, hit-making hands. With those two pieces of knowledge boundlessly understood, there will be no stopping you on your great, successful adventure of an audio lifetime. New horizons of song accomplishment await you, and knowledge is your motor. So grab those resources I shared with you today, study your DAW aggressively and go get what’s waiting for ya… progress, triumphal achievement, and a whole lot o’ FUN!